Get Organized. Grow Sales. Deliver Support. Recognize trends, spot opportunities and improve efficiency. Connect and engage with your leads and contacts with right information. Get 360-degree view of your complete sales cycle and pipeline. 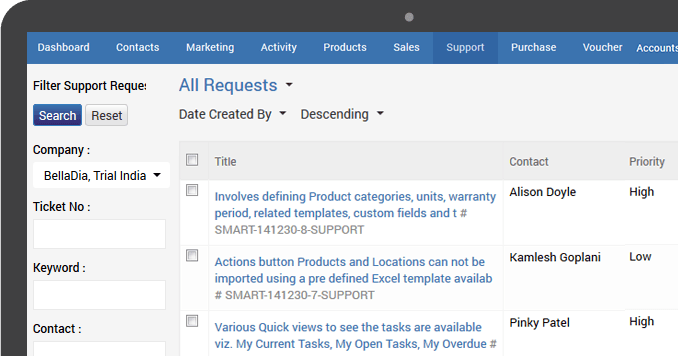 Start selling smarter and faster with filtered prospect list that matters the most. Create happier customer base with web-based ticketing system. 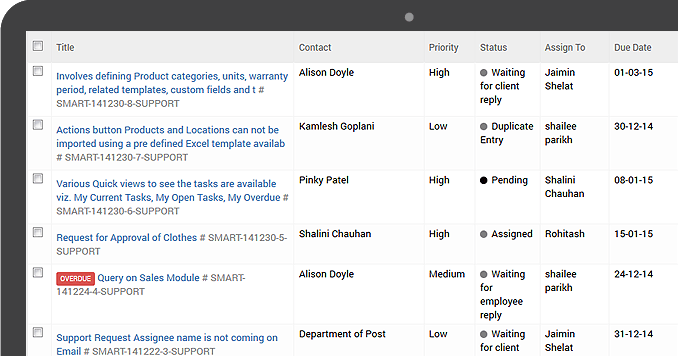 Fast track your post sales activities with integrated emails, chat and phone. 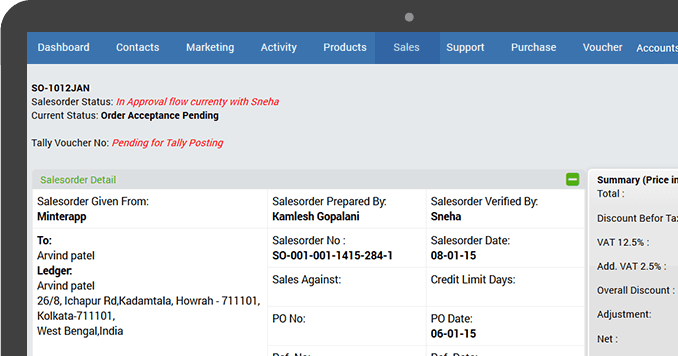 Store, track and manage your inventory effectively on web-based system. Plan procurement, Maintain quality, Improve productivity and analyse stock movements. 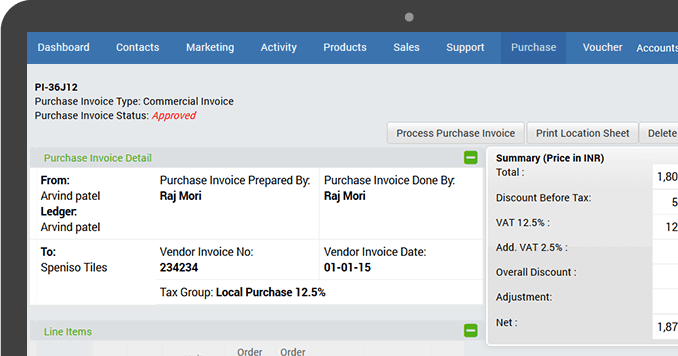 Efficient management of your end-to-end purchase processes. 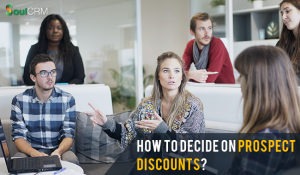 Analyse your buying need and take informed decisions to achieve business goals. 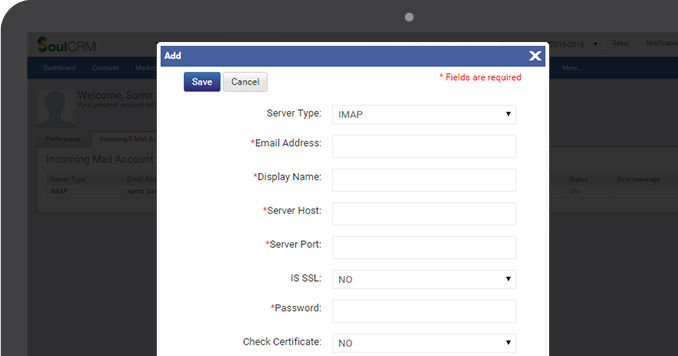 Manage your business, the smart way with easy-to-use interface. 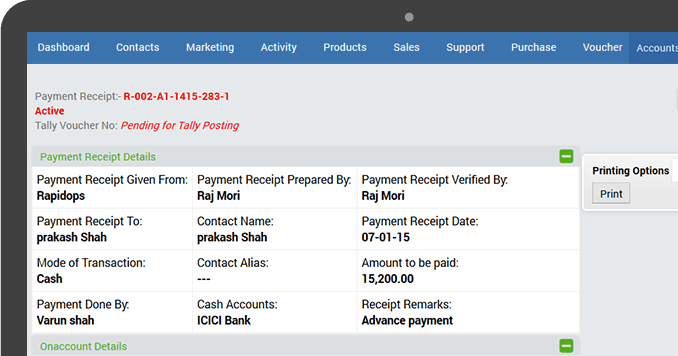 Improve Your Cash-Flow with effective management of Payments and Receipts. 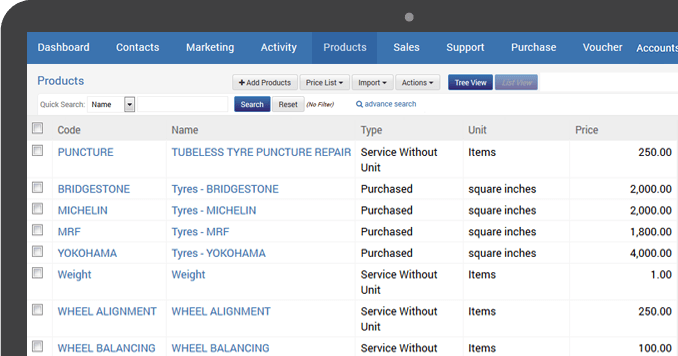 Easily analyse your business data with business intelligence tool. Take informed business decisions and craft break-through strategies. Streamline your processes with well integrated communication and accounting tools. 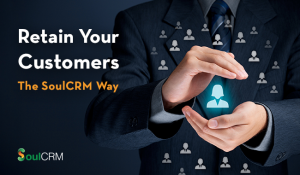 What Makes SoulCRM Right For You? Your data is hosted in some of the most secure facilities available today at protected locations. 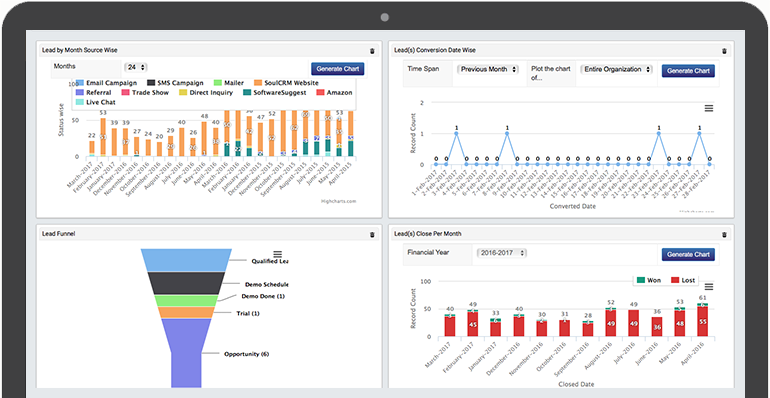 SoulCRM is developed to solve your specific business needs allowing you to grow faster. 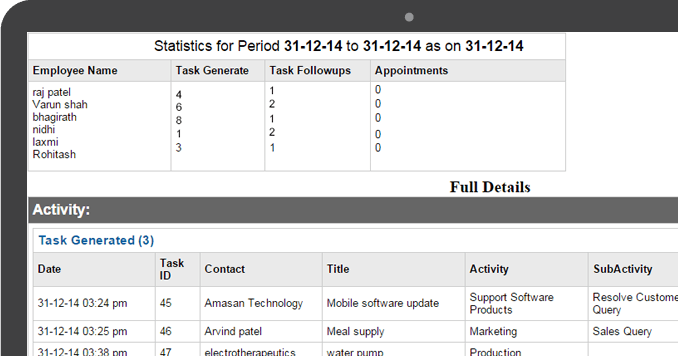 SoulCRM Support module is designed to help you focus more on creating customer happiness everyday. SoulCRM is hosted on Amazon secure cloud. Your data is completely secure and protected. Enjoy software using core features for FREE! How can SoulCRM help me boost my business? 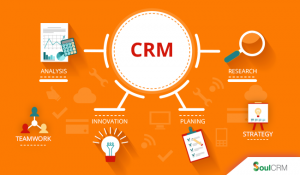 How CRM software can help service and support industry? Setup your team for success today For Free!